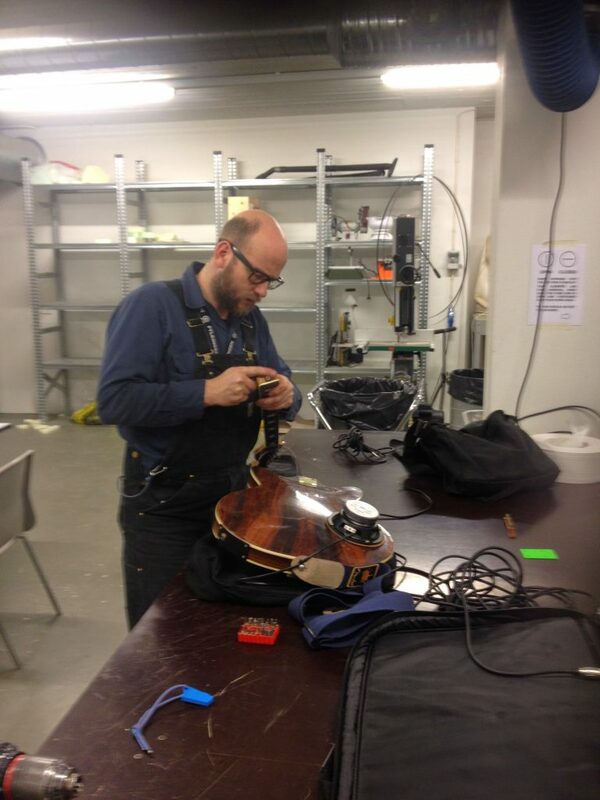 The Vardiphone is an instrument co created by Halldor Arnar Ulfarsson and me. Halldor has been building feedback instruments for a few years, the Vardiphone seeks inspiration in one of the first, Dorophone #1. We’re using an old guitar I bought in Brooklyn, it’s a copy of a Fender Coronado, probably made in Italy. The Vardiphone borrows from the Dorophone process of creating sound through controlled feedback. Originally we used a transducer, this achieved some interesting results, but was not very powerful. Now we have built a 50W speaker into the Vardiphone, I’m sending the sound through all my pedals into a 50W amp and back into the Vardiphone. 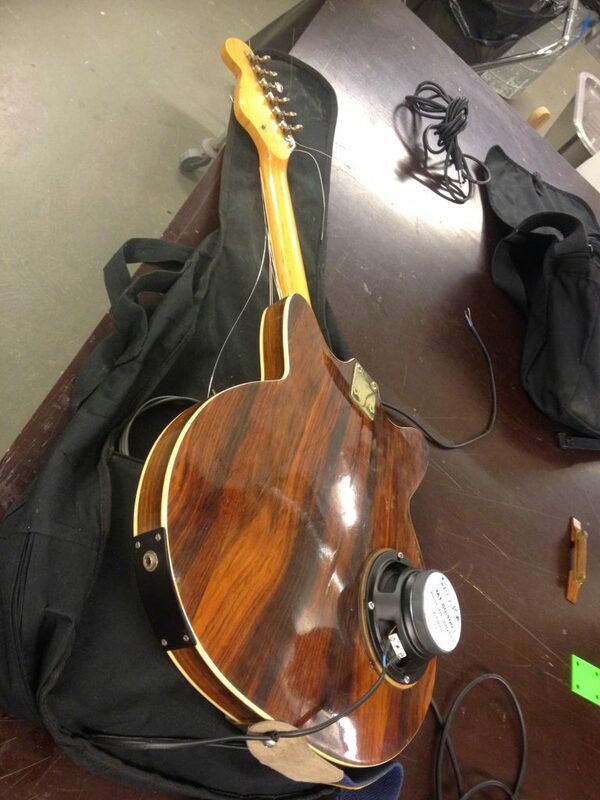 A hole had to be cut out into the back of the Vardiphone to place the speaker. Here’s some pictures from the process.